Even though he’s a native New Yorker and BC alum, we invited Tom O’Keefe to our last chapter meeting. We couldn’t have picked a better person to teach us about personal online branding. Tom, better known by his twitter handle, @BostonTweet, now has over 75,000 followers and is a major news source for the young Boston crowd. His tweets range from events in the city, to what he’s drinking at Eastern Standard that night. If you aren’t following him, you should probably take a moment to do that right now. When the recession began in 2008, Tom needed a new job and Twitter became the answer. He originally pitched the idea to a nearby Boston agency to which they laughed and said it was a waste of time. His intent was to help local businesses in the area that were suffering through the tough economic times. Just a few years later (without a single day off) @BostonTweet has become a major success. When asked what he does Tom said, “I basically go out, eat and drink, and tweet about it.” Even though it seems like all fun and no work, he has persevered in narrowing down a target audience and building strong connections in the city. He described his target audience as 20-30 year old single persons (mostly female) with an expendable income that live along the red or green mbta lines. Knowing his target audience allows him to produce content that is more applicable to their interests. He also emphasized that Boston is a really small and connected city which was why he decided to stay after school, rather than move back to New York. “My whole business revolves around making connections,” Tom laughs. When asked about his success, he said it was all about being human and being passionate. Tom said the best thing he did was use his own face rather than a logo to brand himself because it builds a personal connection. “Maybe it’s that everyday, common, average Joe. If I can’t get in with these, I don’t go,” Tom said pointing to his sneakers. He emphasized how photos and videos also help to build that human connection with his audience. Building your personal online brand is just that — remaining a human in 140 characters or less. Overall, his passion for the city is the main drive behind his success and he encouraged members to find something they’re passionate about. 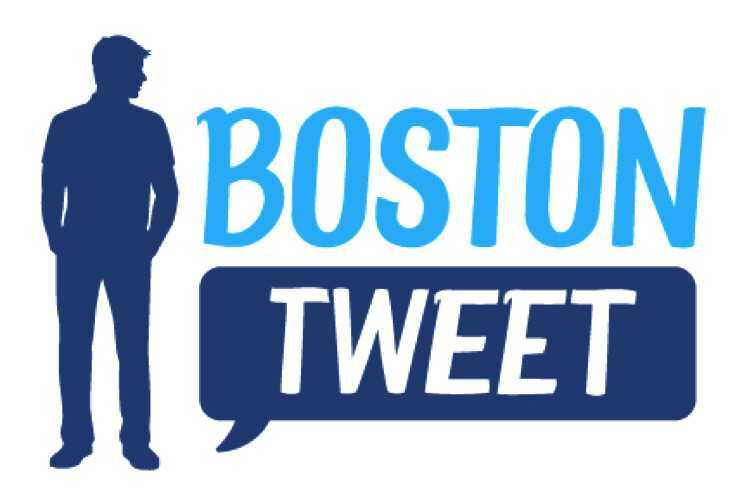 Do you follow @BostonTweet? What do you believe is most important to create a successful personal online brand? I wrote this post after Tom O’Keefe (better known as @BostonTweet) visited PRSSA! Thanks for visiting Tom! We had a great time at the meeting. Hopefully we’ll see you around the Bean sometime soon!